I’m a studio scavenger. A couple of weeks ago I found a cool looking welded wire shape that someone disgarded. 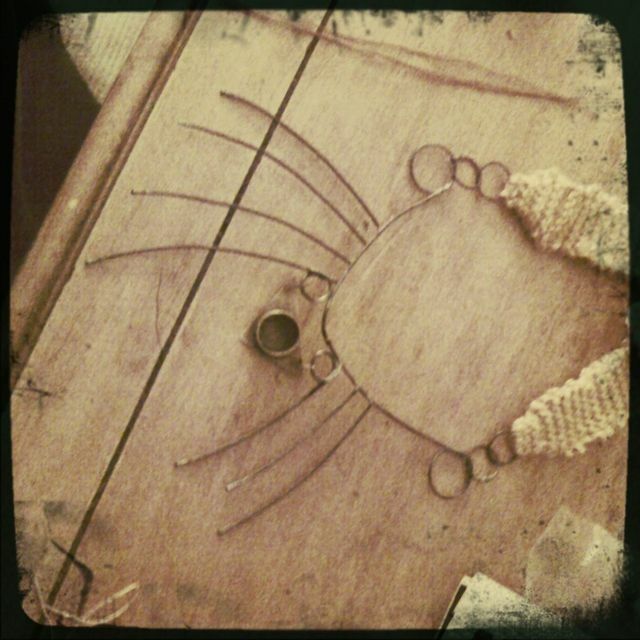 Today I came across someone’s disgarded brass ring-soldered-to-flat-brass piece and had an a vision of a necklace. 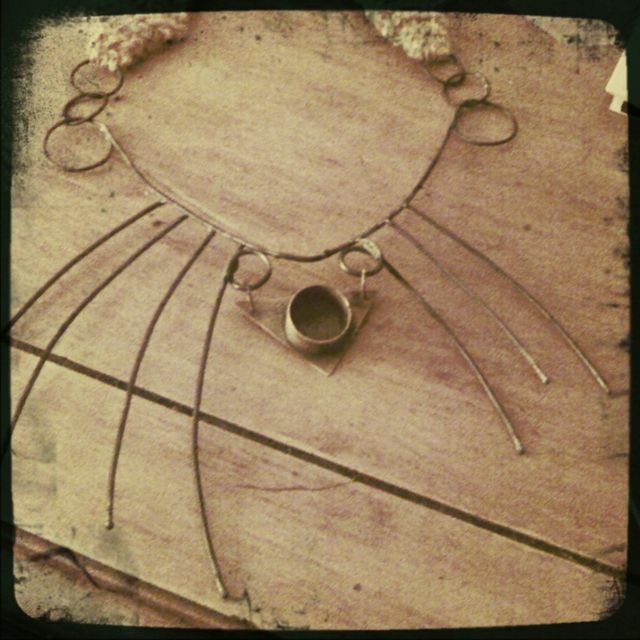 I welded circles to the wire find, drilled holes and patinaed the brass find, and sewed a length of yellow knitted yarn to either end to form the necklace! I think it’s pretty coooool! White Belt Metalsmith · Earning my metalsmithing belts. . .